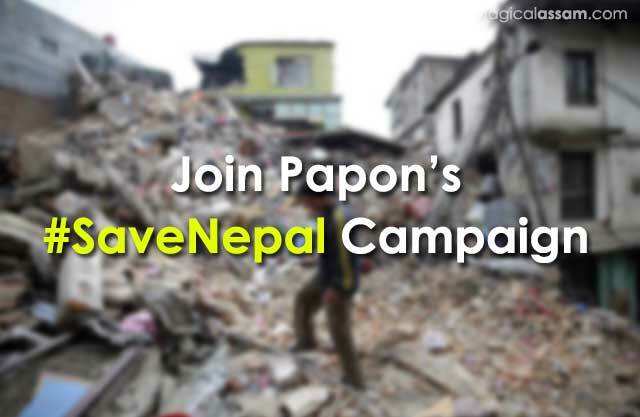 Total 127 people contributed to the #SaveNepal campaign created by popular singer Angarag Papon Mahanta and today is the last date to participate. Here’s the brief description about this campaign. A massive earthquake of magnitude 7.8 on Richter scale (as per USGS) struck Nepal on 25th of April 2015. Widespread damage, destruction and loss of live have been reported. The earthquake jolted the neighboring countries and strong tremors were felt in India, Bhutan and China. The death toll has risen to 2200 across the country as per the Associated Press and is likely to increase more. At least 31 aftershocks of magnitude 4.5 or greater had been felt in and around Nepal. Heavy rains have further worsened the situation, dropping temperatures to 3 degrees Celsius. A Large number of people are left homeless and are living in make shift arrangements with no basic necessities. Massive damage in Kathmandu, Gorkha, Lamjung and Bhaktapur is reported. Reports of severe damage coming in from adjoining areas. India has set up a rescue mission providing food, medicine, relief material and other necessities under Operation Maitri. The funds we raise will go towards providing those affected by the earthquake with medicine, shelter and rehabilitation.The funds raised will go to CARE INDIA who will be working with its team from CARE NEPAL and utlilizing the same to dispurse survival kits to the affected families and individuals in Nepal. 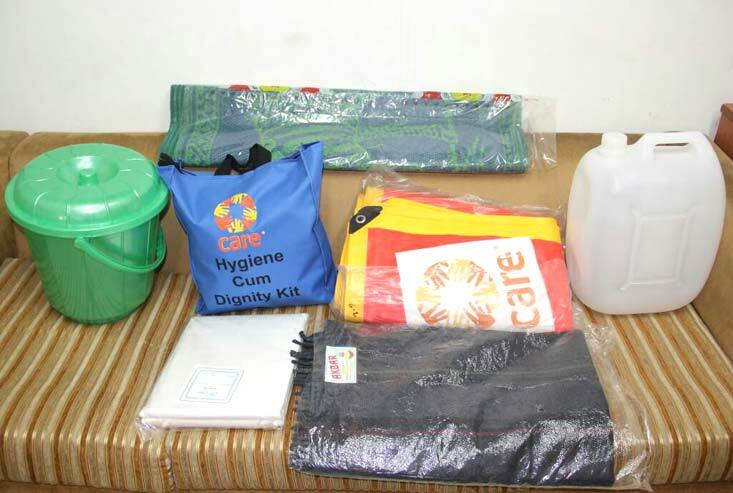 The kits would include basic amenitites for survival such as Tarpaulin, Mats, Hygiene Kit(Soap ,toothbrush, toothpaste, sanitary Napkins & Disinfectants Soaps) and blankets. Each Survival Kit costs INR 5000 and we are looking to raise funds for 100 such kits. I have already gone ahead and funded the first 3 kits. Please come forward and support this campaign and let’s help our friends in the time of duress. Note: You necessarily don’t have to sponsor a whole kit. Donate as much as you want: 10 small contributions will add up for a kit. Let the small amount make a big difference to the life of our Nepalese friends. Just keep the momentum going. Each contribution matters!